NIS America has announced the next DLC character for SNK HEROINES Tag Team Frenzy. The next DLC character is called Skullo Mania, a salaryman who was leading a normal life with his pet dog pochiro. However, under mysterious circumstances he has turned into a masked fighter called Skullo Mania. Skullo Mania joins the roster on October 11, 2018. Learn more about Skullo Mania below. No longer just a salary…man?! 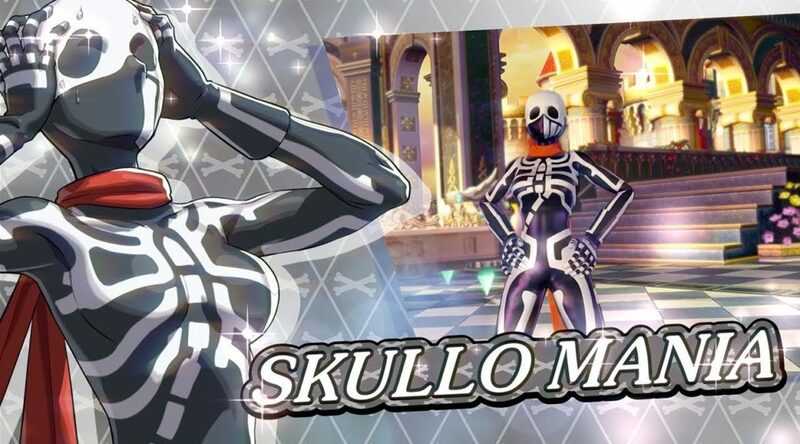 Meet your new local hero, Skullo Mania, as she breaks into the roster for SNK HEROINES Tag Team Frenzy as our newest downloadable character! Skullo Mania is your local hero to save us all! In his normal life he recently found employment as a productive salaryman with his pet dog, pochiro. However, he has been troubled recently by the fact that he has been missing pockets of his memory where he turns into the masked fighter, Skullo Mania. With these mixed feeling he has also discovered new powers within himself. What is to become of our masked hero?! Bring the hammer of justice down upon Kukri’s trap in SNK HEROINES Tag Team Frenzy on Nintendo Switch™ and PlayStation®4 today, and look forward to Skullo Mania’s grand entrance on October 11, 2018!